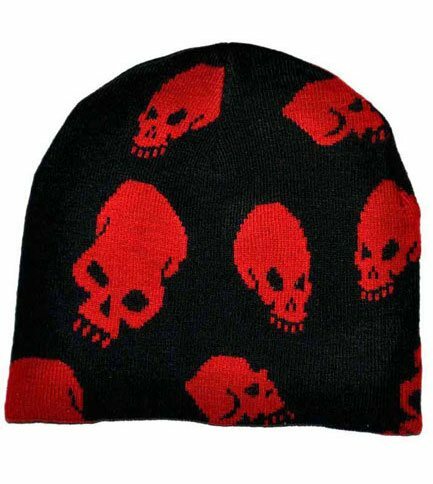 The skull beanie hat is a black hat with red skulls perfect for a winter storm. 90% acrylic 10% spandex. Imported from the UK. 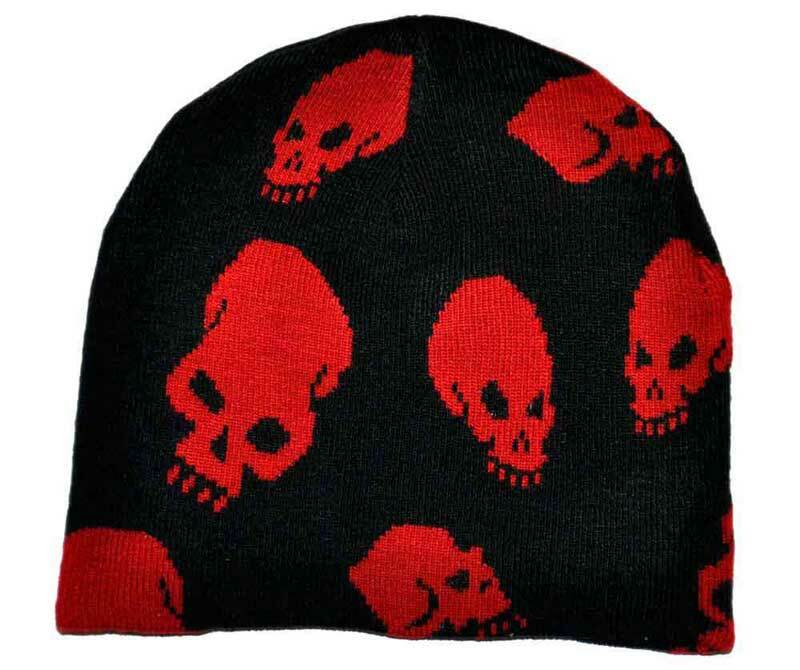 One size fits most (small-medium).